My spiritual disciplines used to feel pretty solid. Not always perfect, but good. Then #TheFives swept in with their “Early morning wake-up call” and “Hour-long time goal,” and everything changed. Prayer changed from a conversation with God to an essential for my faith’s daily survival. My family was blessed with a Victorian home built in 1903 that we now call “home.” God arranged some supernatural appointments for us to own our dream home- the price, location, flowers in the yard- every little detail was what we wanted. As with every old house, there were repairs to be made. Our front porch is rotting. There is termite damage. There is only ONE bathroom *gasp* for all four of us. These repairs would take us years to save for. My husband and I had the typical “Should I get a job?” conversation, asking God to guide our choices. Because, as much as I love having my nights off with my family, maybe being faithful to this gift God gave us would require a little bit of extra work on our part. As we prayed every morning through #TheFives, it became apparent to both of us that neither of us was to pick up an extra job. Then a week went by. No check in the mail. No lonely carpenter wandering the streets looking for a family to bestow with free front porch repair. God’s faithfulness seemed further away than before. More than I ever could have imagined, and certainly more than I had prayed for. The man who sold us the home showed up on my doorstep. I had never met him before, as he sold us his home while he was living in Florida. But here he was, flesh and blood, asking if I would allow him the privilege of walking his girlfriend through the home she had heard so much about. I was ecstatic to invite them into my home, asking for stories of the past, as well as any words of wisdom he had for care of the home. History was alive in my home for almost two hours, as told by the previous homeowner who cherished my home just as much as I did. His wife had passed while owning this home and the pain was still evident through our conversations. This house held the last memories of he and his wife, a tomb of life and love finally being opened for my family to now understand. He spoke of the late nights spent in the glow of the Christmas tree, the hours of work his wife invested in the beautiful blooms right outside the window, and her passion to make her hometown a better place. When his wife had grown sick and eventually passed, the house sat empty as they searched for a buyer. It was during this time that most of the current damage occurred in the home. As we stood in my driveway, wrapping up our time together, he dropped a bomb shell. He shared that he wanted to continue his stewardship of this home that had given him so much. He wanted to fix the problems in our home as a way to honor the memories that the home had given him. This man, whom sold us our home thousands below asking price, whom I had never met, whom had no further ties to the house, was going to pay for the repairs that we needed. He has gifted us with $7,500 to fix our home, no strings attached. Never would I have expected God to show up this way, using this man, but He did. God took our prayers, made in the dark of 5am, and answered them in the bright of the day so everyone could see His faithfulness. God wanted me to share my story, to remind those of you who question if God is listening to our prayers that He IS and He CAN answer them in any way He pleases. We must be able to acknowledge the supernatural things in our lives are not just coincidences or luck, but the gifting of a God who longs to give us good things. This story blows my mind! God is so amazing! Wow God is so great. Unimaginable that a complete stranger could be so kind!God bless you and your family. What a wonderful story. Thanks for sharing and caring. I absolutely loved your story. I still can’t believe it is real. I am so happy for you. Can’t wait to see pictures as the repairs progress. Isn’t He? He surprises me with good things every day, this just happened to be REALLY big! So amazing Erica! It gives me chills! Missy- it does me, too! 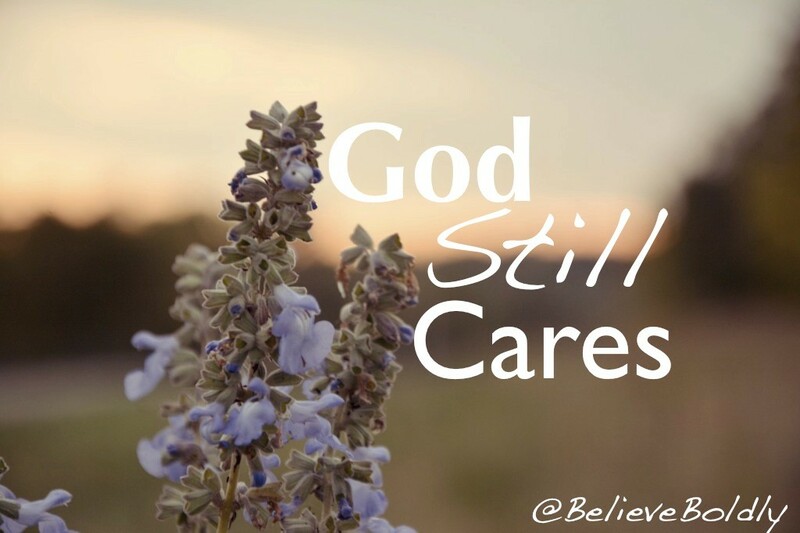 With all that God does through our prayer group, it would be impossible to deny he cares for us individually! This is SO incredibly beautiful!! And it was something I so desperately needed to hear and know. Thank you for sharing this Erica! Wow! Mind blown! I LOVE how God answers prayers! He says in His word in Luke 6:38 “Give, and it will be given to you. A good measure, pressed down, shaken together and running over, will be poured into your lap. For with the measure you use, it will be measured to you.” Your story is proof that God does answer in ways that we don’t expect or in the timing that we expect. Yet, He is faithful. Thank you for sharing your story!